Thread by @BrexitBin: "I'm going to post some historical videos on this thread which I believe are necessary if you want to see the whole Brexit movement, includin […]"
I'm going to post some historical videos on this thread which I believe are necessary if you want to see the whole Brexit movement, including its core players and supporters, in context. There are no graphic images in the videos. But what is said is sometimes hard to bear. This is a 1975 interview with Sir Oswald Mosley, 6th Baronet of Ancoats: former Tory MP, former Labour minister, and founder of the British Union of Fascists. This is a Mosley interview from 1967. In between the disgusting bouts of anti-Semitism, watch how Mosley clearly and convincingly explains his economic and political agenda without making them sound insane or dictatorial. Mogg and Farage do this too. This is a modern UKIP supporters video using Mosley. It is glorifying fascism and nationalism. And of course Brexit. Brexit really is an episode in England's History X.
Enoch Powell is another hero of the far right. The sentiments expressed here in his "rivers of blood" speech from 1968 are still being expressed by many Leavers today. Enoch Powell began his campaign to Leave the EEC/EU in 1975, on the very night we voted to remain in it by 67%. There was no "accepting the vote" for him! The arguments used, "European Superstate", "Sovereignty" etc remain the same to this day. Enoch Powell again, in a rather rambling speech which basically expands on the "sovereignty" issue. Although he doesn't use Mogg's phrase "Vassal State", he clearly implies it. Here Tony Benn argues against EEC membership in 1972. Just like now, there is no convincing PRACTICAL argument against it. Just some vague, xenophobic notion of a "threat. A threat which incidentally still hasn't materialised 40 years later. (Part 1) Foot and Heath square off about "sovereignty" and the "undemocratic EEC". Foot's views are basically those used by Corbyn for the last 40 years. The "undemocratic" argument remains purely theoretical, as no EEC/EU law has ever been imposed on us. In 1959 the racist "White Defence League" wanted to repatriate working immigrants to stop Britain becoming "unrecognisable". Many UKIP supporters used the same "send them home, save our culture" mantra against EU workes. Here the racist BNP in 1991 latches onto the traditions of Oswald Mosley and Enoch Powell. Intetestingly, their spokesman is no longer upper class, but an early Farage-style "Geeza". The racist had now become "a man of the people who tells it like it is". Some of these vids are long, but well worth watching. 1. England has always had a racism problem. 2. Leavers' arguments against the EEC/EU haven't changed in 40 years. Thread 1/15 So you want to cash in big on #Brexit? Disclaimer. The following thread does not constitute financial advice. Before making any investment you should consult a professional financial adviser. 2/15 Now let’s suppose you have a spare £100m. The first thing you need to do is invest it in non-Sterling denominated assets. 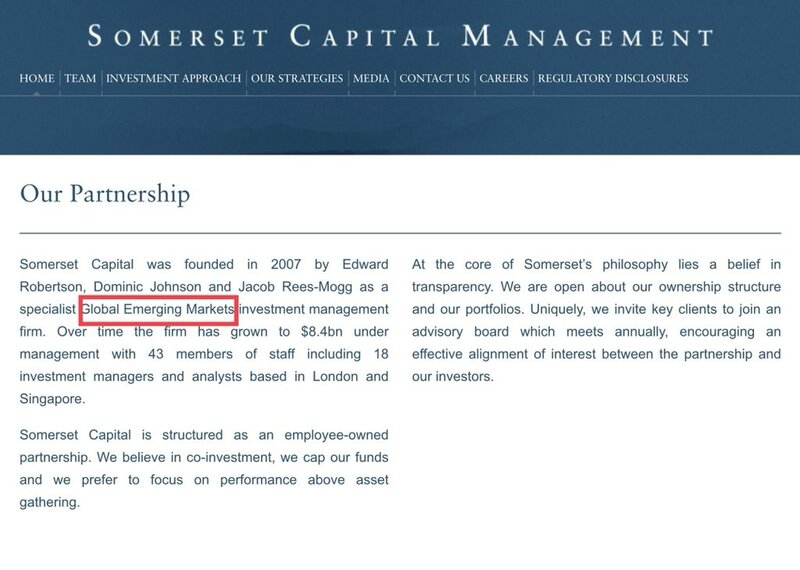 @Jacob_Rees_Mogg ‘s firm has a few funds, all investing $8.4billion in such assets, so ask him if you’re not sure. 3/15 For the sake of illustration, let’s make up an imaginary currency called the Wonga. And let’s suppose that you get 2 Wongas to the Pound. W2=£1. The rate doesn’t matter. So now you’ve got W200million in stocks denominated in Wonga currency.